This kitchen. Of all the houses we've bought, this was the best one. The layout and organization worked great. It was SO big I didn't have to use the upper shelves on top cabinets so I could reach everything! (That's a HUGE time-saver!) There was space around the corner for display and storage, so pretties didn't clutter the countertops. It had a nice sized pantry too, so cleaning supplies were nearby. But this house, as large as it was, didn't quite fit my life. Not the life God called us to live there. It was too big, and Mark worked long hours (weeks, months), so most of my days were spent alone. I had some great friendships from living around the corner a few years before, but the days were long and lonely and I never quite "belonged" here (they would have been my friends anywhere). The house before was filled with college kids most weekends, and we had hoped this kitchen would be used often the same way, but we lived "across the river" from the universities here. The extra bedrooms never had college friends' parents or missionary families stay with us. We used it a little with our family, but it was too big for all the tinies we had, and we had to put gates up on the stairway to restrict where they went and help keep them safe. Life there was a constant game of hide-and-seek when they were over, for all the closets and cubbies. 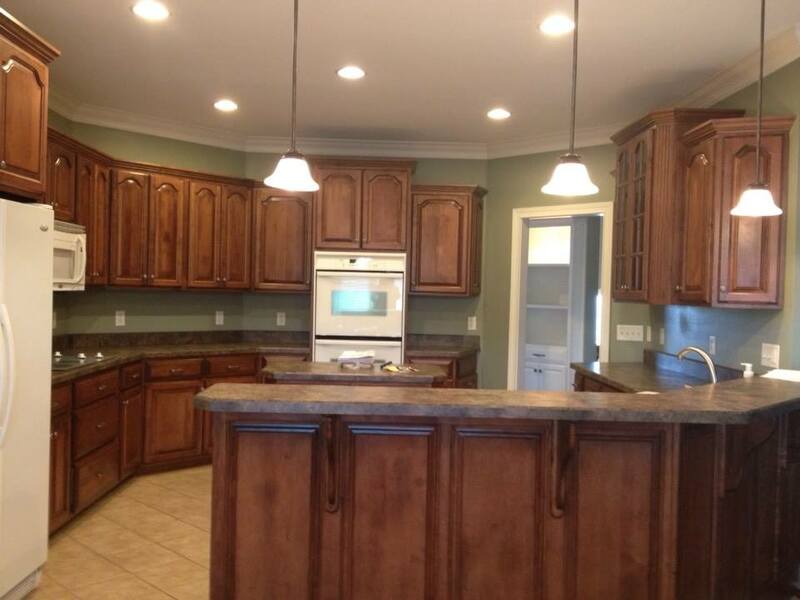 But it had the most amazing, perfect kitchen, that rarely got used for its full capability. I think we can be like that too. God gifts us with talents, fills us with His Holy Spirit and helps us dream dreams; we are this finely equipped kitchen, in a big beautiful house! Then we don't use those gifts. We hide them away, or are afraid to push beyond our comfort zone, or are maybe a little lazy and afraid of being hurt - because we've been hurt before. I often find that I'm doing "good things" for God, but it's still not finding the BIG thing He desires me to do... I'm staying busy in kingdom work and it's not bad... it's just not the fullness of what He envisioned me to be doing. It's not what He CREATED me to do. Perhaps you've dreamed a dream for a long time, and have sacrificed and struggled to see it happen, and it's going nowhere. Maybe you've been so busy with the "good" things you can't take the time to develop the skills to pursue the "best" dream God's given you. I remember the night, barely a year after we'd moved in to this house, that Mark and I sat on the covered back patio, praying about why we lived in this big, underused house. The next morning (I kid you not!) a realtor called, asking us if we would consider showing (and listing and selling) the house. God was just waiting for us to ask. We were! Within a few days we were under contract, and in about a month we were moving to a smaller house, much closer to grandkids but farther from friends. It offered a whole new set of blessings and lessons, but we walked with God through it all. It wouldn't of happened if we didn't take time to ask God or taken time to listen. If we had pretended that life was as big and grand as that house looked from the outside. If we settled for content and didn't push for happy, in the fullness of life He had for us. If we didn't take a risk. It meant a LOT of work, and at that time it was our 3rd move in 3 years (and the 4th in 5 years), so we understood what kind of work was before us! Making that move gave us a year of fun memories with our family before we moved again (yep, it's true!) because of a job change we had to make. It moved us away from family, friends, and church, but God was in the middle of it, and He sold our house again within 30 days and moved us to Arkansas (here!). It was hard and scary and I was exhausted and may of had a little break-down in the end, but I was never alone. I'm still not alone. I haven't found the fullness of life here, but life is good. God is at work, and at work in me, and I keep asking Him what's next for me and my little kitchen here in the woods, that feels like it fits just right for this season of life.